Some research has recently shown that bed bugs are becoming resistant to the pesticides that are used to kill them. With bed bugs popping up throughout the United States and overseas; it is important to be able to treat infestations quickly and accurately. Have you ever awoken in the morning to find unusual bites on your skin? An experienced pest control expert will help you determine if you have bed bugs. At Stern Environmental Group, there is a wide variety of bed bug fighting options available to help protect your home and family. Bed bug sniffing detection dogs are used as a first line of defense against bed bugs. They are trained to sniff out bed bugs in the most unusual places. Within minutes of arriving on the scene, a trained dog can investigate and locate bed bug infestations (even trace amounts) quicker than any of their human friends. 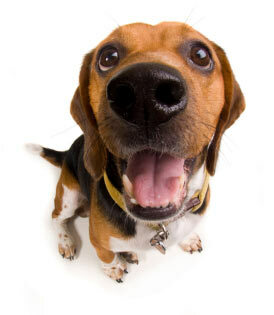 A dog’s sensitivity to smell can range from 10 to 100 times greater than humans. Bed bug detection dogs spend hundreds of hours in training and have a proven 98% success rate in locating bed bugs. If you think that you might have bed bugs at your home or business establishment, you definitely want to see how the bed bug detection dogs at Stern Environmental Group can work their magic for you! In my post on Tuesday, I was telling you how some NYC bed bugs have become resistant to certain pesticides while bed bugs that were tested from other States; died as expected. Don’t panic though. The good news is; not all bed bugs are resistant to pesticides. There are 400 bed bug elimination chemicals registered in New York. Most of these chemicals still work just fine. But, it is recommended that a comprehensive eradication program be used to get rid of any bed bug infestation. There are many things you can do to help exterminators help you. Don’t forget, bed bugs love to hide so you need to think like a bed bug. Consider filling cracks and crevices, seal wood floors, caulk gaps, spackle holes, wash and dry all of your bedding and clothing and remove any clutter. If you need a bed bug specialist that has a fantastic integrated pest management program available to get rid of these pests, you need to contact Stern Environmental. Stern can fight resistant bed bugs by using Cryonite (CO2 snow). It is chemical free and will never lose its effectiveness against bed bugs. Stern also has a new force to be reckoned with at their disposal. Their new bed bug detection dogs will quickly and safely sniff out your bed bug problem. Check out what Stern can offer you! Bed bugs are a major problem in apartment buildings in New York City and other municipalities. Often an apartment owner will hire a bed bug exterminator to only treat the units that the residents have complained about bed bugs. However, bed bugs can go dormant and live about a year without feeding and may still be lurking in the treated apartments as well as the other units in the building. The brazen bed bugs travel to other apartment units through voids in the walls and holes which contain wires and pipes. People need to check the obvious places for bed bugs and their eggs such as bed linen, mattresses and box springs, but they also need to check unusual hiding places such as underneath loose wallpaper, in furniture, especially of the wicker variety, behind moldings, laundry and folds in curtains. Before you begin screaming about having bed bugs look at some actual photographs of bed bugs and eggs, because a lot of times people actually have a different type of insect infestation. The bedrooms are the primary suspect areas since bed bugs are attracted to body heat and they enjoy snacking on humans at night while they sleep. If you have bed bug problems try some Cryonite to get rid of them. Can bed bug bites leave scars on humans? The answer might be yes. A woman is suing a hotel located in Orlando for the permanent scars she has on her legs and torso that she claims were caused by the nasty bed bugs that attacked her at the hotel. She claims the hotel did not prevent “the entrance and the breeding on the premises.” She is seeking a minimum of $15,000 in damages. She needed medical treatment for the bites. Her lawyer claims the bed bug bites developed infections which created over thirty scars. Bed bug victims might want consult their physician and closely monitor their bite marks for infections. We often hear about the unattractive red marks, the itching and sometimes emotional trauma. I wonder if unfortunately, other bed bug victims have scars due to bacterial infections and keep quite about it due to the embarrassment. Bed bugs don’t carry disease but scarring is a serious issue. I feel sorry for the bed bug victims but I also feel sorry for hotel owners who are actually having the property inspected and fumigated, yet they still are vulnerable to bed bugs and lawsuits. Call a professional bed bug exterminator if you have them in your home. In my last post, I discussed the laws for selling a co-op or a condo in New York. Let’s take a look at the laws for selling a home in New York. Sellers are obligated to fill out a disclosure statement and provide it to the buyer. The disclosure statement asks if the house has ever had a pest infestation. Some homeowners that had a bed bug infestation simply avoid the issue and do not offer the form to the buyer. Does the city toss them in jail or insist on community service work? No they just fine them $500. Some owners will gladly pay the fine to avoid informing the buyer of the dreaded bed bug infestation and avoid the loss of the sale. Morals and real estate don’t always go together. The buyer needs to be aware of the obligatory disclosure statement. Don’t sign the contract without it. If the seller says his ferret ate it, be suspicious. Since a seller could lie on the form or maybe not even be aware of an early stage bed bug infestation, perhaps bringing a bed bug sniffing beagle with you or a professional bed bug exterminator would be appropriate while touring homes for sale.